This article is about my new lotto system. My old lotto system is briefly explained at the bottom of this article. At the core of both lotto systems is astrological theory, which indicates that the outcome of everything we do depends on timing. My new lotto system includes the use of the kind of artificial intelligence known as neural network. My old lotto system dit not use any kind of artificial intelligence. Everybody needs physical exercise to some degree, but people are different. Some people find it easy to be active, and then there is the rest, who has to force themselves to be active in order to stay physically and mentally healthy. When I have a full time job, I can pull myself together to be physically active on average every second day: Go swimming, go jogging or go to the fitness center and do exercises there. But I am not active every second day. Sometimes I remain passive for up to 3 days in row, and some times I am active in up to 3 days in row. The question is: Is there a system in the apparently randomly choice of days that I am physically active – and is this system depending on astrology in some way? In astrology the most popular way of doing prognoses is by using the so-called transits and progressions. Transits and progressions are movements of the planets, and when the planets form specific angles to each other seen from planet Earth, the astrologer calls it aspects. An aspect can be 0° (conjunction), 180° (opposition), 120° (trine), etc. An aspect is always a fraction of the circle, for instance the conjunction is 1/1, the opposition is 1/2, the trine is 1/3, etc. An aspect can be either favorable or unfavorable. The conjunction is neutral. These fractions are unfavorable: 1/2, 1/4 and 3/4, 1/8 and 3/8… These fractions are favorable: 1/3, 1/6, 1/9 and 2/9 and 4/9… I think you get the system: When the referee of the fraction can be divided by 2, it’s unfavorable, when the referee of the fraction can be divided by 3 it is favorable. What about the borderline cases? 1/6 is favorable, but 1/12 (semisextile) and 8/12 (quinqunx) are regarded as unfavorable. 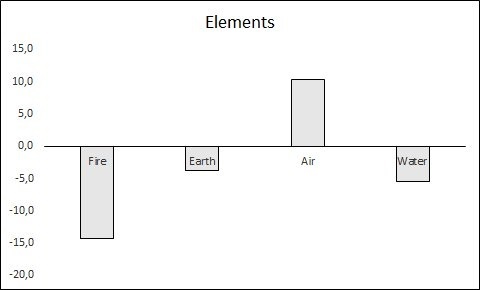 The bar chart below shows that the aspects, which encourage me to do physical activity, are the unfavorable aspects to "fire" planets and the favorable aspects to "air" planets, while the aspects to "earth" and "water" planets don’t seem to matter. Please notice that in the bar chart the points are between -15 and +10 -, and also notice that the statistic is based on my physical activity in January and February 2018, i.e. we are talking about approximately 30 days with physical activity and 30 days without physical activity. The points for lottery tickets are much, much stronger than the equivalent points for physical exercise, being between +28 og +240! This observation indicates that the astrological influnces are much stronger for the outcome of lotto winnings than for my choice of date for doing physical exercise. The data material is smaller than in the previous case: 23 dates versus 61 dates. 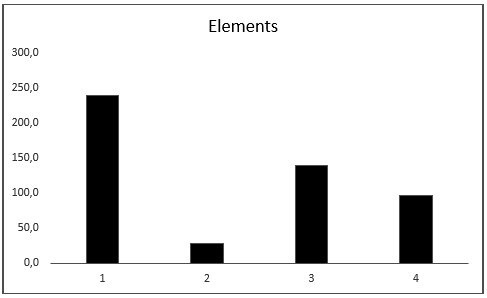 Usually the distribution decreases as more dates are added, thereby eleminating the random element. 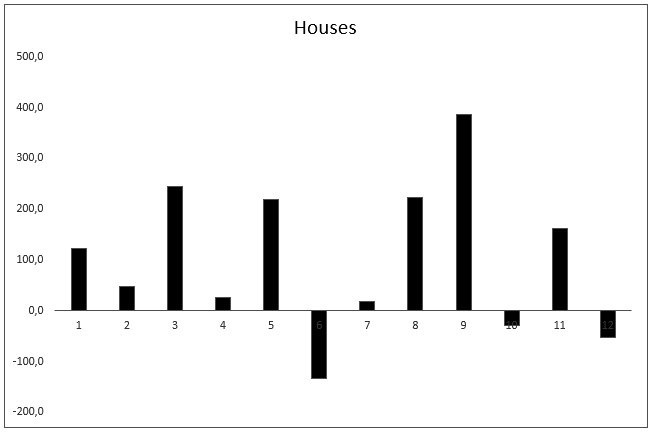 The below bar chart shows the distribution of the planets / house-rulers depending on the aspects being either positive or negative – that is: favorable or unfavorable. It is easy to see that number 9 is the tallest column, which means that favorable aspects to ruler number 9 (= Jupiter and the individual’s 9 house ruler – which in my case is the Sun) are the strongest influence, when it comes to winning in a lottery. This observation is in accordance with traditional mainstream astrology, where Jupiter and the 9th house represent “good luck”. But even if the 9th house ruler is unfavorably aspected, you can still win, if other rulers receive favorable aspects: 1., 3., 5., 8. and / or 11. 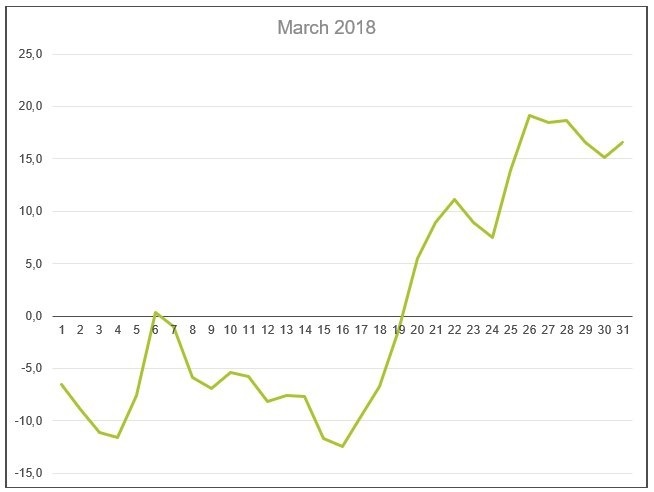 Conclusion: March 6th and the last 11 days of March seem to be good. The last step in the process to purchase a winning lottery ticket is to pick a date and a time interval based on the so-called mundane or common aspects, which are aspects influencing all people on planet Earth. The aspects from transit Moon are particularly important. March 6th is OK, and so are 4 more dates between March 20th and 31st. All in all 5 dates. For each of these 5 dates I found a time interval, where I expect to have good luck. When I read about how Gerald Selbee found a way to outwin the odds in a lottery system, I realized that a lottery system as the one I am developing here does not have to be about making a big win. Instead it can be about making a stable return from invested amounts – which in a lottery system is only possible with large investments. Gerald Selbee and his associates milked 27 million American dollars from 2 lotteries of over a period of 9 years – without breaking the law, simply by finding a way to outmaneuver the system, which was flawed. Anyway, my new lottery system is still in its infancy. I intend to test it in March by investing 1,000 Danish kroner (= 166 USD) 5 times – or 5,000 Danish kroner (830 USD) altogether. Compared to what Gerald Selbee did it is not a lot, but in my world I know that my friends would become worried and think that I was about to develop ludomania, if they new, what I was about to do. The problem is that I have to raise my bets to a certain level in order to test my system, but there is also a level to how much I can afford to loose. On average every 5th lottery ticket renders a gain, big or small. In most cases the gain is small, like equal to the price of the lottery ticket. 45% of the incoming money is paid out as gains. If I win less than 200 DKK for each 1,000 DKK bet, the system is a failure. If I win between 200 DKK and 500 DKK for each 1,000 DKK bet, the lottery works as aspected with or without astrology. It's a draw. If I win between 500 DKK and 1,000 DKK for each 1,000 DKK bet, I don’t make any profit, but it is an encouragement to continue the test. If there is a profit from the purchase of lottery tickets, the system is deemed to be a succes. You can see the result of this initial experiment here. A system like this one gets smarter all the time. Every time I have bought a lottery ticket and the winnings have been published, I can add this particular date to the system, either as a winning date or a loosing date. 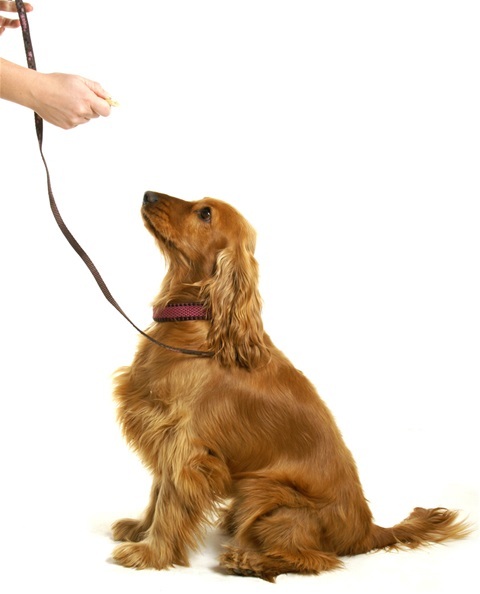 In a symbolic way I punish the system for bad guesses, and I reward it for good guesses – just like I would have done when training a dog, for instance. I can also make the system smarter by adding old lotto results, which I have logged previously, to the system. And finally I can add data from other lotto winners, provided I have their birth charts, the dates they purchased their lotto tickets and the outcome of the lotto tickets. This article was entitled ”My New Lotto System”, because it replaces ”The Old Lotto System”. ”The Old Lotto System” was based entirely on the mundane aspects, whereas ”My New Lotto System” is based primarily on prognostic aspects from the personal birth chart, these aspects are then fed into a (relatively simple) neural network, and finally the mundane aspects are used to pick dates and times for purchasing lottery tickets. I couldn’t describe these differences, before I had first described all the technicalities in ”My New Lotto System”. I never made a profit with the ”The Old Lotto System”, but it had clear indications that I was on to something. Copyright (c) Eskild Rasmussen, last updated March 14th 2018.